Unlike other golf management companies, making your club profitable is our business. Up to Par, with its Six Sigma processes and daily operating procedures, ensures that we are always focused on delivering positive financial results for our clients. Through our daily reporting, payroll administration, and corporate supervision, we execute our agreed upon operating plan. While overseeing a club’s financial health, we are constantly improving our processes and adjusting to the current economic trends. Maximize round production while containing expenditures thus giving our client the best probability of profitability. Design, develop and implement (to the extent the board or client allows) a golf program that aims to drive greater participation for members and guests. Design, develop and implement (to the extent allowed) a golf marketing campaign that aims to increase rounds, grow membership/pass holders, and boost group bookings. We understand that golfers deserve first-quality playing conditions and the golf course is paramount to revenue generation.  Up to Par activates a Golf Operations plan customized to each property’s needs. The golf operations department is in charge of the practice facility, cart fleet, tournament management, golf outing experience, lessons, and more. When we onboard a client property, all associates are trained to our service standards – from the starters to the players’ assistants. Customer service is essential to the experience of members and guests. Strategic marketing is an integral part of a good business plan. We actively work to market our properties to new residents/customers/members/guests/local businesses. In addition, we look for cross-marketing and remarketing opportunities to ensure brand-share of your property through the website, social media, email marketing, traditional print, and others. And if you don’t like their answer, give us a call at 540-464-4653. If your Golf Club is part of a Homeowner’s Association, perhaps our ONE Source Partnership with Associa is the right fit for you! Associa and Up to Par Management have joined forces to deliver positive financial results and exceptional experiences to owners and developers, along with homeowners, members, and guests. ONE Source Partnership offers communities a one-stop solution for all their needs. For more information and to receive a FREE consultation, please click here.